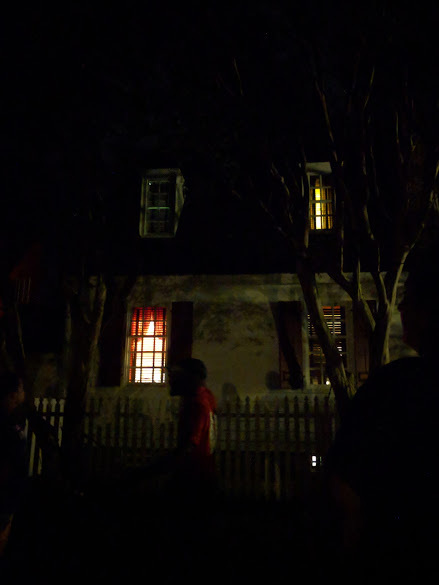 With the over 200 year history of Plot 35 on Davis St in downtown Culpeper, Virginia its not surprising that our last Investigation produced some amazingly unexpected and unexplained results. We thank Andrew Ferlazzo, the owner of Grass Rootes for the opportunity to investigate the basement of the restaurant. The photo and audio evidence we gathered leaves little doubt in our minds that the past inhabitants of this buildings various establishments are still present within those walls. Also known as "River View", this farm has quite a historical past. The farm was the Henry Fry Plantation from 1793 to 1852. A remodel and expansion of the home was done in the 1860's. Henry Fry was a descendant of the Henry Fry whose home was "Bending River". It is said that the Fry Plantation resembled a little town with the many slave shacks scattered up from the Rapidan River. Many of the old foundations of these shacks can still be found scattered around the farm. There is a small cemetery in the farm with marked graves from the Fry family as well as the Webb family. The farm was said to have been commissioned as a hospital after the Battle of Jack's Shop in 1863. It was a great investigation. 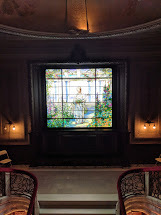 One of our members experienced their 1st sightings.As one member was taking pictures up the staircase, he said “where did the little boy come from” He had seen a small African American boy standing at the foot of the stairs. Little did he know that another member had seen the same vision the day before at the initial client interview. You can almost see the surprised expression on his face in the last photo below. 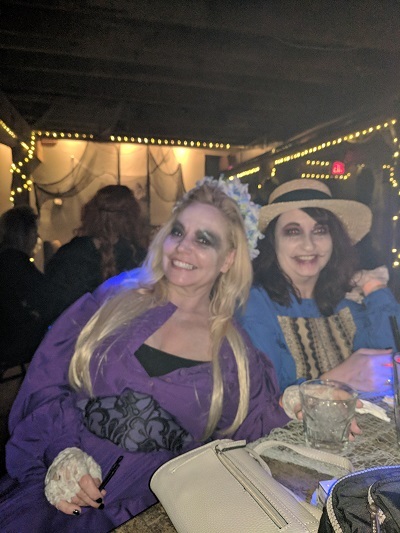 The Gordonsville Exchange- A little cameo fun with the Tennessee Wraith Chasers. 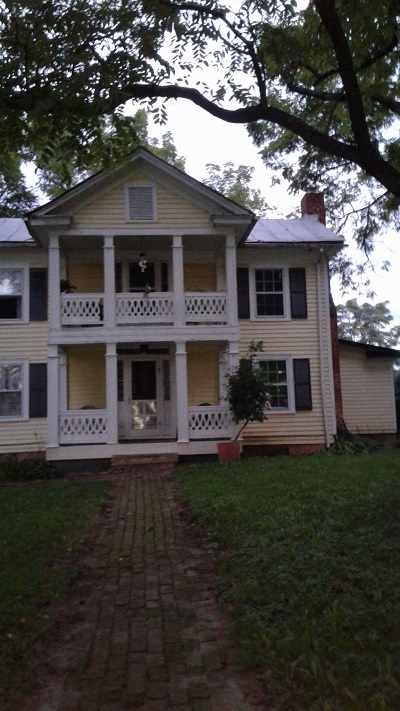 On this old homestead, the client had experienced disembodied voices and seen several apparitions. We did capture an interesting photo in the field behind the home that appears to show a cannon of the civil war era. Several members also saw movement of soldiers and heard voices in the field as well. This location was an original resettlement home built for the families displaced by the construction of the Shenandoah National Park. 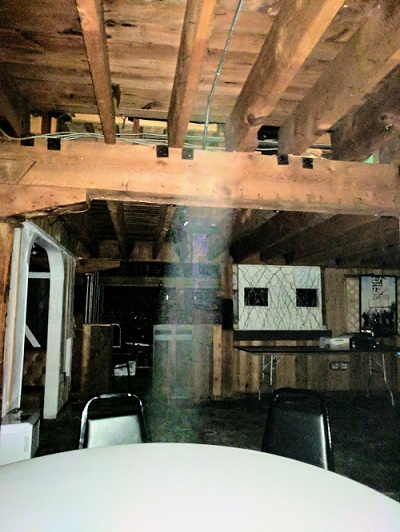 I'm on the fence when it comes to orbs, but the below pictures were taken in succession without flash. The Battle of Brandy Station was one of history's greatest cavalry engagements with over 20,000 troops, including 17,000 cavalry, engaged in battle. Although the Union advance was repelled, the overwhelming dominance of the Confederate cavalry was broken. The Graffiti House served as a field hospital for the South during this and other local battles during the war. It also served as a headquarters facility for the Federal forces during the winter encampment of 1863-64. Soldiers from both sides made drawings and signed their names and units on the walls. Rediscovered in 1993, much has been preserved. During the investigation, Ginger, in the photo below stated she felt something behind her, next to Mike. After looking at photos, the below picture appears to show a mist on his shoulder. When enlarged, an apparition appears to be whispering to him. Perhaps one of the many soldiers trying to tell him of his time at the Graffiti House. The home owner contacted us with claims of seeing apparitions( man in a top hat standing next to his bed) and hearing strange noises to the point of being afraid to stay in his brand new town home.Most of the activity was taking place in the master bedroom. We started the investigation in this bedroom.One of our member, who is not usually one to get strong feelings when it comes to the paranormal, immediately became overcome with grief and sadness to the point of crying and feeling dizzy.Others in the group also felt a tremendous heaviness in the room. This feeling stayed with us for several hours as we went thru the rest of this beautiful home. Thankfully by the end of the investigation, this feeling had gone away. We did not capture any photos or recordings out of the ordinary during this investigation. We were however able to debunk many of the noises as being bleed thru by the neighbors and HVAC in the attic. As for this heavy feeling, We can’t exactly confirm what that was, other than the research we did finding some historical relevance to the property the town homes are built on or near. That night after returning home, the member who had the reaction in the bedroom had a vivid vision of a man appear to her. She described it as a movie playing before her eyes that lasted all of a second then was gone.It appeared he had blood dripping down his face in the vision. Below is a sketch she did of the vision and a picture of Confederate Cavalry General Turner Ashby—who was killed at the Battle of Goods Farm close to the property.It may be completely coincidental, but very intriguing at the same time.Gladly though, the client has had no further experiences and is living comfortably in his home. The Battle of Cedar Mountain, also known as Slaughter's Mountain or Cedar Run, took place on August 9, 1862, in Culpeper County, Virginia, as part of the American Civil War. Union forces under Maj. Gen. Nathaniel P. Banks attacked Confederate forces under Maj. Gen. Thomas J. 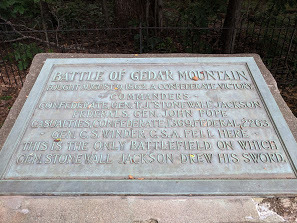 "Stonewall" Jackson near Cedar Mountain as the Confederates marched on Culpeper Court House to forestall a Union advance into central Virginia. After nearly being driven from the field in the early part of the battle, a Confederate counterattack broke the Union lines resulting in a Confederate victory. The battle was the first combat of the Northern Virginia Campaign. Swannanoa is an Italian Renaissance Revival villa built in 1912 by millionaire and philanthropist James H. Dooley (1841–1922) above Rockfish Gap on the border of northern Nelson County and Augusta County, Virginia and sits high atop the Blue Ridge Mountains at Afton. We love all the rich history our state has to offer and Williamsburg is one of our favorites to visit. We recently partnered with the Original Ghost Tour of Yorktown for National Ghost Hunting Day and had a blast with these great people. The 1st picture was taken during the walk. Right before this was taken,a dark mass was seen right behind one of the guides. The 2nd picture is an enlargement of the top portion of the 1st picture. There appears to be a mans face in the anomaly.